IDENTIFYING MARK: This tattoo of the name "Sheldon" seen circled on the right forearm of kidnap victim Sheldon Sukhdeo was used by police yesterday to identify a body which they found in the forests in Las Lomas No. 2, as that of the father of two who was kidnapped five weeks ago. KIDNAP victim Sheldon Sukhdeo was shot twice in the chest. 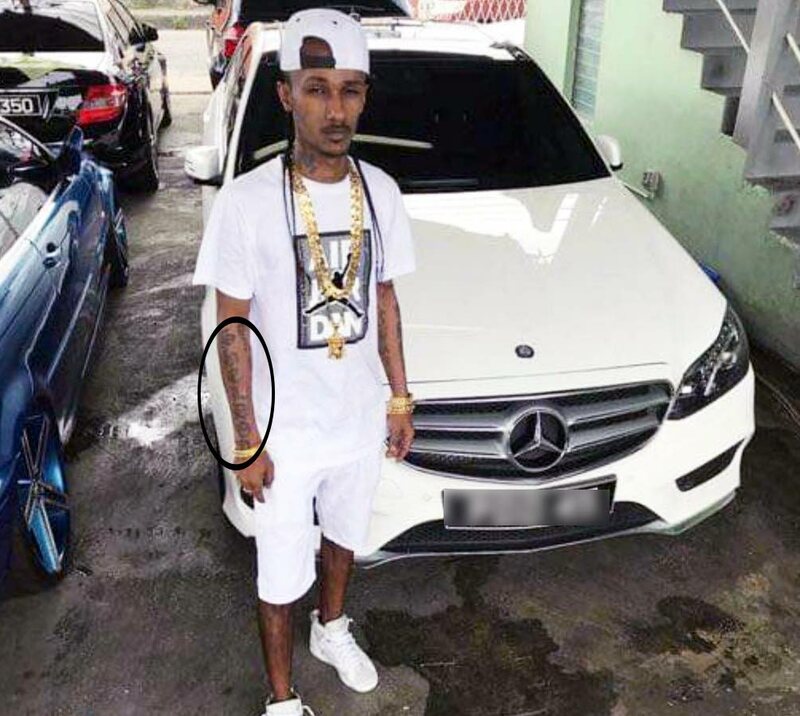 Pathologists confirmed this as being the cause of his death following an autopsy done this morning at the Forensic Science Centre in St James, after family members positively identified him. While the body was partially decomposed, relatives were able to identify the 32-year-old man via a tattoo of his name on his right forearm. After being kidnapped by men dressed in police uniforms, on December 16, Sukhdeo’s body was found with his hands tied and his entire head taped over with duct tape. His body was found in the forests in Las Lomas #2. Reply to "Sukhdeo shot in the chest"